Okay, it looks like I can get back to a regular blogging schedule. 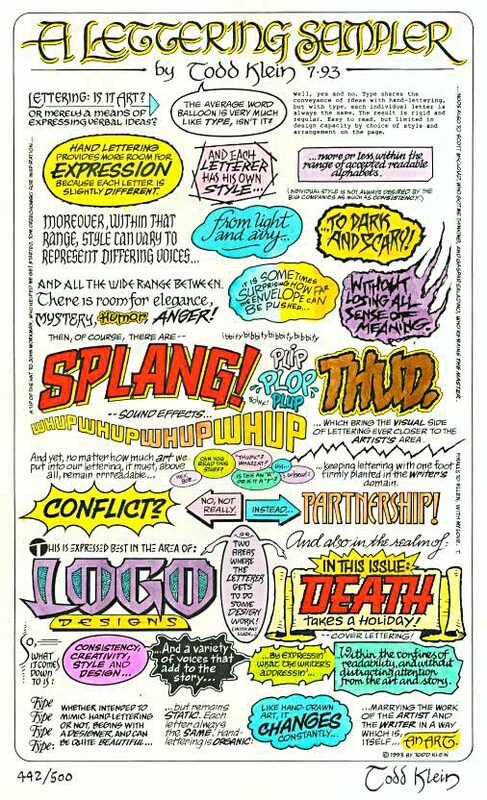 This is an introduction to word balloons and lettering. I started learning lettering by hand when I began my career. I quickly decided I rather spend my time drawing. I didn't enjoy hand lettering. However, I did make sure I did the balloon placements whenever I could. Every artist should do this if you are not lettering your own work. As an artist the word balloons should be considered a part of the page design and not an after thought. If you are working with a writer from a plot, then you can't really incorporate the balloons into your layout. After the script is written make sure you do the balloon placements. If you are the writer or get a full script from the writer, then you should make the balloon placement a consideration in your page design. I do the lettering with the computer now, so I'll be discussing that. Here's how to hand letter comics. 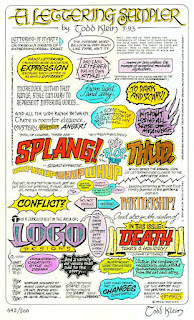 Until tomorrow take a look at this fine example of hand lettering by Todd Klein. He may still have some prints available. Check out his blog. Tell him I sent you. OOHH my! I just found this minutes after I posted my blog, by Chris Oatley about balloon placement. Consider it a preview of what I'm going to cover. read next - What Makes You Beautiful? Keep reading this blog. Share with your friends. Please comment.